WELCOME TO CLARK'S AUTOMOTIVE RESTYLING! 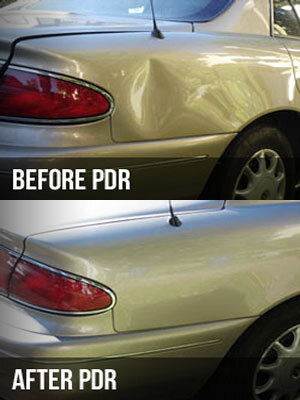 We Pride Ourselves In Our Knowledge Of Paintless Dent Removal To Get Your Vehicle Back On The Road. We believe in the reality of God the Father, Jesus the Son of God, and the Holy Spirit, we want to encourage people to find and follow Jesus. To be an example of a truly Christian company. To faithfully apply the talents and abilities the Lord has given to us, in order to serve you, our customer. If your experience with Clark’s Automotive Restyling reflects these statements, please give credit and glory to God. If it doesn’t please let me know, so we can fix the problem. Why Choose Clark's Automotive Restyling? Paintless Dent Removal is a tedious process, in which demands a lot of patience and a great amount skill and 1000’s of hours of practice. We are the original PDR company in the area, we have been performing PDR for over 27 years, not to mention that we’ve been in the automotive aftermarket business for over 41 years. I know how to remove and reinstall interior body panels perfectly. There are no short cuts, our service is done in a timely manor and very cost effective. Every job is done to my high standards. I have enjoyed muscle cars for many years and know how to take care of them and will treat your car the same way. I have many classic car owners bring their cars to me to have dings, and dents removed . 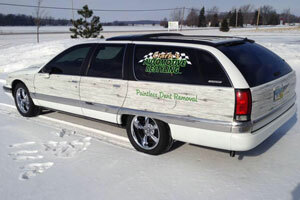 Customers bring their vehicles from all over Northeast Ohio,West Central Ohio, and North East Indiana. I am the only one who will be working on your vehicle. The integrity of your vehicle is very important to me and I will perform the very best repair possible. If your not satisfied, you owe me nothing! PDR is not just a job to me, its my PASSION! © Copyright 2017-18, Clark’s Automotive Restyling. All Rights Reserved.